Dota 6.61 Beta Map | DotA Allstars 6.61 Beta Map Leak - The Dota Allstars 6.61 beta map has just leaked. It is Dota 6.61 (Beta 3) map. I got it from some source and I'd like to share this Dota 6.61 beta map to you guys. It's pretty new beta map of Dota Allstars 6.61 but we can see alot of changes are applied in upcoming Dota 6.61. 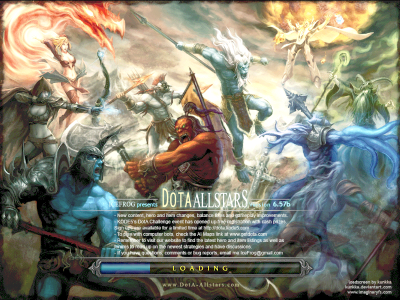 It is the real beta map leak of Dota 6.61 .. I have checked this leaked map already. Download Dota 6.61 Leak Beta map and read changelogs here. * Watchers now have collision. They also have 400 less vision range and give +40 more bounty. * Sven's Storm bolt now uses the normal unit targeting scheme. No gameplay changes, just the interface visuals. i dont see tauren chieftain ultimate remake in this 6.61 beta map changelog.. i think its because of this new beta map.. it will take sometime..
@ Anonymous - do you think that IceFrog is your servant? After reading this discussion I lol'ed. Guys, IceFrog needs your suggestions and tips to make Dota 6.61 map fine as you guys want. Icefrog? Many of my friends tell me.. DotA 6.60- is the lastest icefrog present.. is that true? I dun really like troll warlord's ultimate now... Playing him is just like playing a support hero + killing machine... It just don't fit... Its just my opinion..
Are the loading map of 6.61 map changed?? I hope that the loading map of 6.61 map get changes.Tq.. Please DONT upload beta-maps or changelogs of beta-maps. Its a work in progress and Icefrog have stated he DONT want any leaks. by uploading this you disrespect Icefrog and his work. Please remove it from your site. 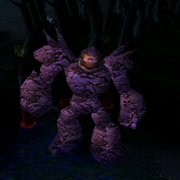 icefrog can you remake this hero?? Is DotA 6.61 the lastest Icefrog present? or it will DotA 6.62-? ??? In order to balance all hero i think we should have an item which would give your hero the capacity to copy someone elses ability. That would be punk! Tauren Chieften skills must reduced. His 3rd skill is too way IMBALANCED. Atrocious English you have there, asking others to learn English? *sigh* Thats just sad. English is not everyone's Mother tongue. So please be patient and try to understand what is he saying. Thankyou For Visiting DotA Utilities. about dota 6.60b or 6.60 i don't like the mystic snake for medusa...,, the chain lightning works better than that of the mystic snake.. can you remake this hero's ability or skill?? plez remake troll warlord's ultimate..
a team with tauren chieftain WINS most games...!!! LOL YOU SAID YOU FIXED REVERSE POLARITY TWICE. lol. i dont like troll's ultimate now.. i prefer the old one. and also for tauren the 3rd skill is way too imbalanced. 100% reduction of armor and spell resistance is a little over the edge. 80 is good but 100 is imba. The 6.60 and up versions: Ice frog mainly focused on AREA OF EFFECT Skill changes and Magic Do hikies ranges and Damage improvements!! small hero balances really!! Sven : Area Stun, duh! BatMan : Area Burn, SKill, Napalm!! Suggest an Area Dagon!!! that would be nc!!! Seriously, you guys choose to play, it's okay giving your opinion but some just sounds like they want dota their way. I would be a dissapointed mapmaker if you would ask me. Ungrateful peeps, and he doesn't even gets income directly from long hours of map making. Ungrateful indeed.